Give us as little as one day to give you your dream bathroom! 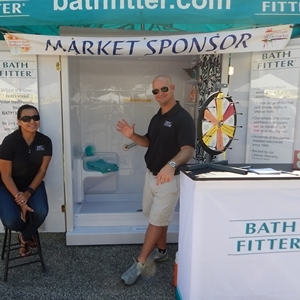 Bath Fitter is North America’s #1 bathroom remodeling company specializing in acrylic bathtub liners, shower remodeling options, tub-to-shower conversions and our unique, one-piece wall system. Homeowners and commercial customers can choose from our product line that includes our non-porous acrylic bathtubs, tub surrounds, shower bases, shower liners, replacement shower walls, ceilings, tub-to-shower conversions, glass doors, wainscoting and a variety of color-matched accessories. Bath Fitter offers a simple and permanent bathroom solution with a lifetime warranty. 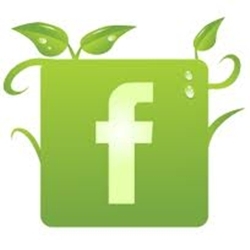 Anytime we are at the farmers market, please visit our booth and we would be happy to provide you with a free in-home estimate to discuss your specific bathroom remodeling needs. For further information about Bath Fitter, please visit our showroom located at 7660 Philips Highway, Suite 3, Jacksonville, Florida and our website at www.bathfitter.com.